Turn on, tee off, enjoy! 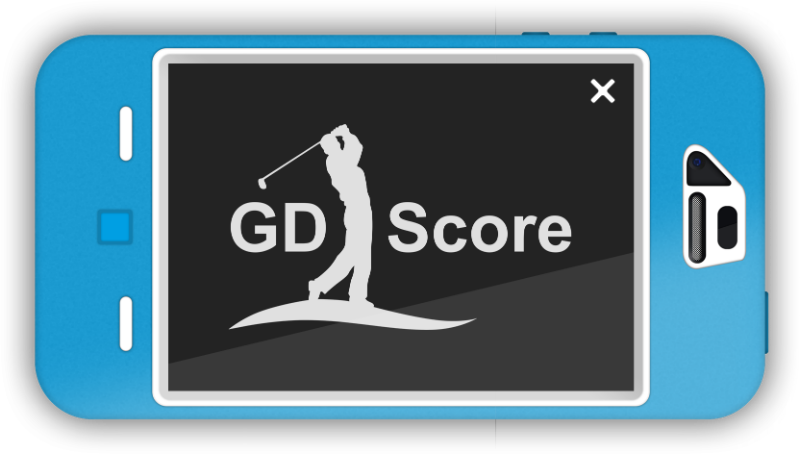 GDScore is as simple as that. 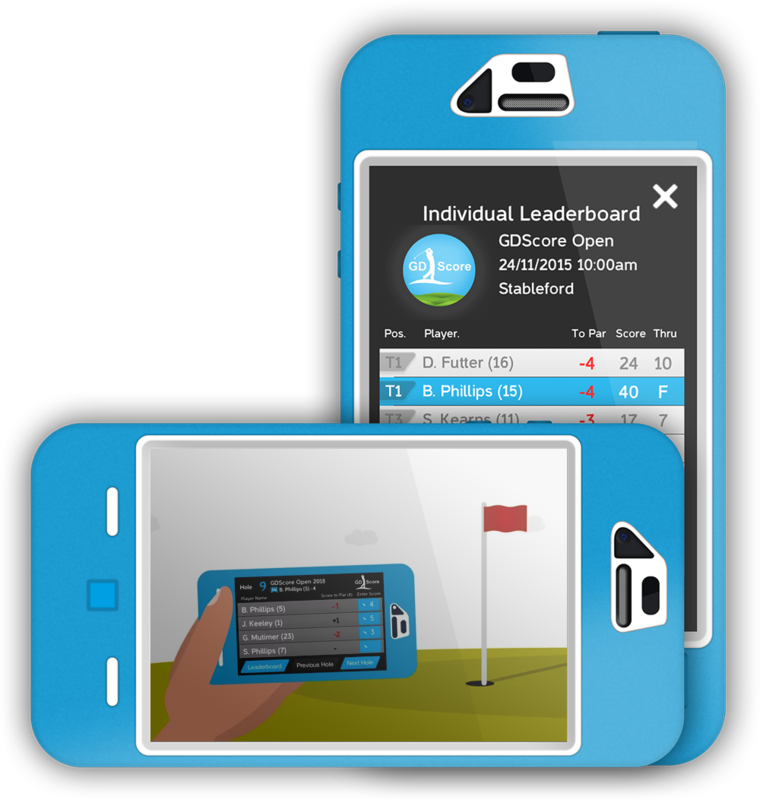 An easy way to give players the tour pro experience. It adds something special to competitions, corporate events and charity golf days. 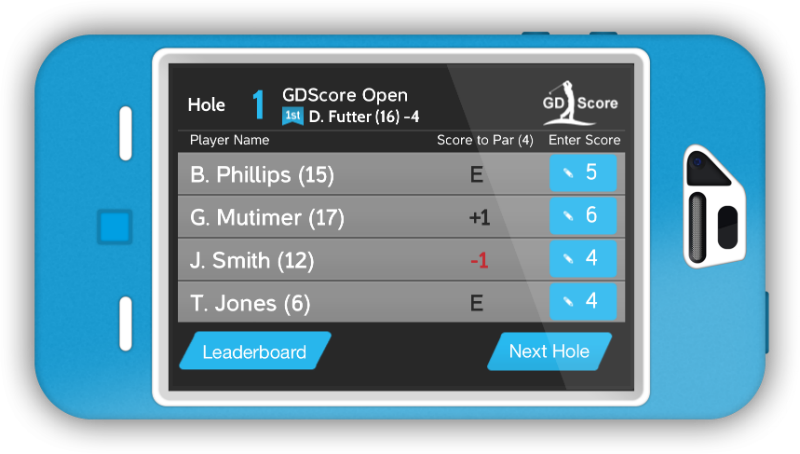 Just enter your gross score – GDScore does the rest instantly, no matter what format you’re playing. 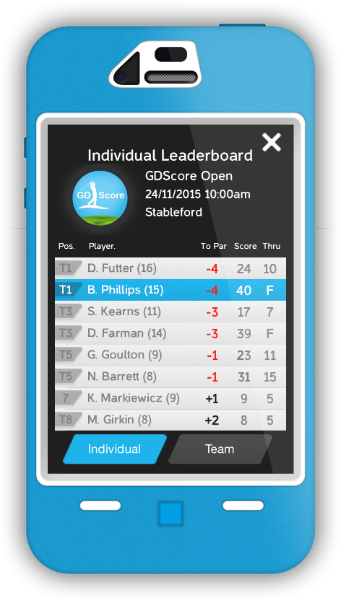 View live leaderboards on your device anywhere on the course, in the clubhouse and online. 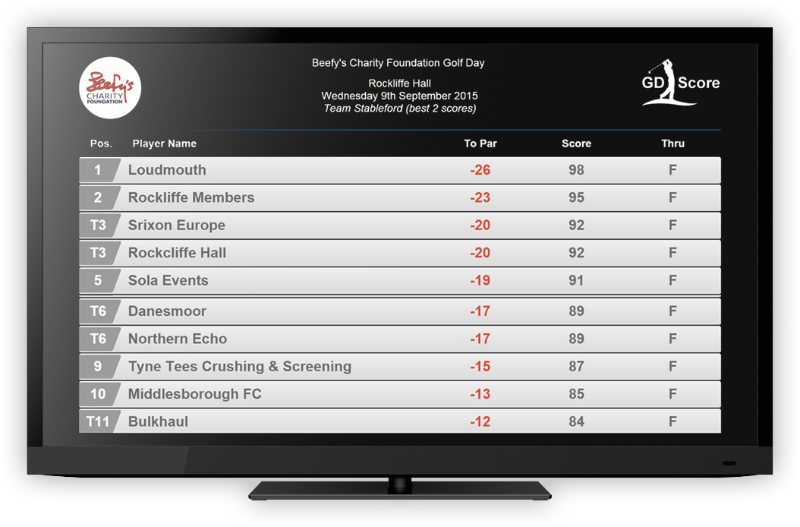 Event leaderboards can be displayed on big screens in the clubhouse and are always available online during and after the event. Our simple advertising feature allows you to engage directly with players. Grab their attention between holes – you choose when and how often. 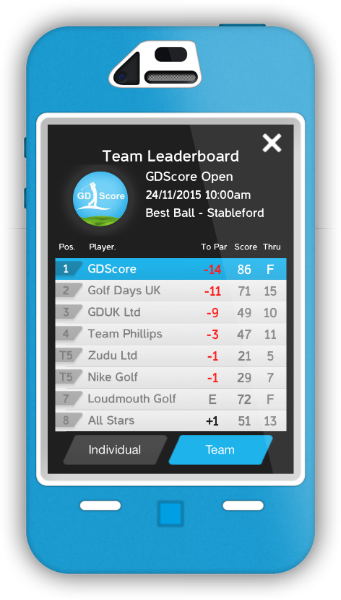 GDScore will create extra revenue for your club as well as giving your members and visitors an exciting experience. 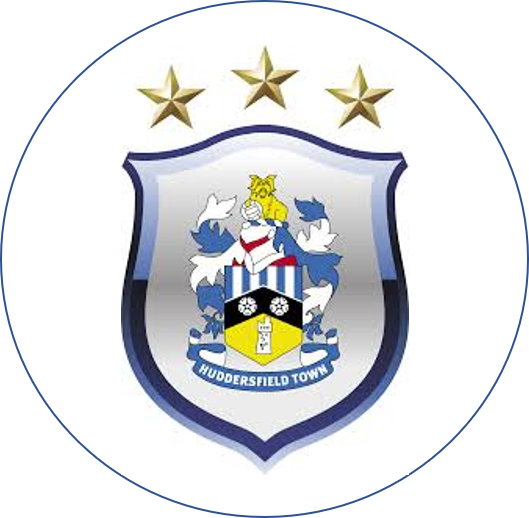 “GDScore was a very welcome addition to our established ‘Huddersfield Town Golf Day’. Having Live Scoring was a modern twist on the old scoring system that added excitement and intrigue to our day. Highly recommended!